Netflix Canada vs. Netflix USA: Why Do We Get The Shaft? Editor's note: Now that we're in 2018, things have changed a bit — and it seems that Canadian Netflix is doing quite well in terms of content (third best in the world, in fact). 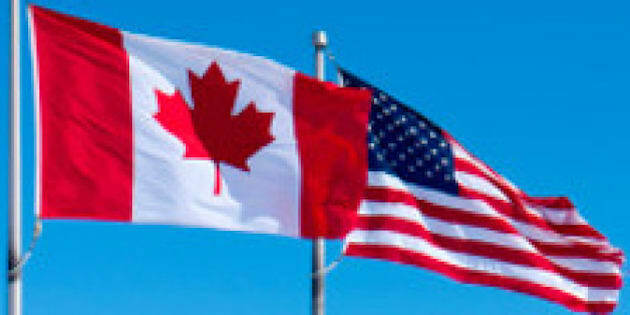 Check out our updated story about what's on offer in Canada from Netflix, and what we have that even the Americans don't. Canadian jealousy of the United States is often exaggerated — but when it comes to Netflix, it's all too real. Canadians have flocked to Netflix since it expanded north in 2010, but many have noticed they pay the same price for a service that is less comprehensive than in the United States. As of November, Canadian Netflix offers roughly 3,600 titles while the U.S. service has more than 10,000. Viewers in both countries are interested in the same movies and television shows, so why the disparity? The short answer is that each television program and movie is licensed by its owner in different regions across a baffling array of platforms and time "windows." Think of how movies start in theatres and then move to DVD, TV, iTunes and Netflix. The system has been good for profits, but often frustrates consumers who have grown accustomed to the flexibility offered by the internet. Netflix often finds a program or movie it wants is already licensed to someone else in Canada. Things can get incredibly complicated. "[It's] sort of like looking at the computer screen of a Wall Street trader in terms of the complexity of trying to manage all of the different rights," says Timothy Mizrahi, Netflix vice-president of content acquisition. And just like on Wall Street, complexity has often been good for the bottom line. Studios and networks attempt to make as much money as possible by selling each piece of content as many times as possible. This has been a profitable model for content owners, but it's not particularly good for the 21st century consumer. Take the experience of on-demand TV in Canada. Often these services are subject to expiring licenses. When you notice a show halfway through the season and try to start from the beginning on demand, you find that some of the early episodes are already missing. The windows system is why a season of your favourite show may not be available for purchase on iTunes or streaming on Netflix until long after it has concluded. Is Harper's Wireless Plan Destined To Fail? This complex environment is, in the opinion of many in the industry, driving digital piracy. "We believe that when you provide great content to people and you make it available they choose the legal route," says Netflix spokesperson Jenny McCabe. "What prevents people from being able to watch what they want are the classic windowing systems that exist in the content world." Rogers' David Purdy agrees, and argues illicit downloading is more popular in Canada because there simply isn't the same variety of content available through paid options. "If the customer isn't given a simple, easy, legitimate alternative they're going to find illegal ways to get access to the content," Purdy says. "As long as rights holders withhold content from customers, you're going to encourage this type of behaviour." So will things ever get better? The growth of Netflix is already putting pressure on content producers to simplify licenses, reduce wait times and put the web first. "The more members that join Netflix, the better content that we can license," McCabe says. "Consumers don't really understand or probably frankly care about all of that Hollywood legal licensing, it just happens to be the world that we have to live in. So we'll put pressure on that as much as we can." One of the ways Netflix is applying pressure on traditional licensing models is by producing original content and releasing it the way the internet likes it: all at once and everywhere. Hit shows "House of Cards" and "Orange is the New Black" are the two best-known examples, but Netflix is working on many originals, including a new four-series deal with Marvel Entertainment. Netflix original "Hemlock Grove" was recently shot in and around Toronto. TV makers have so far been more willing to adapt to the new digital paradigm than film studios, one of the reasons why television now accounts for 70 per cent of viewing on Netflix. That's according to the service's chief content officer Ted Sarandos, who has been deeply critical of the way the movie industry continues to release films on web services months or even years after they debut in theatres. Sarandos believes this unwillingness to adapt helps explain not only piracy, but also the current "golden age" of television. One of the reasons Netflix may get into the film production business, Sarandos says, is that the current model "might kill movies." For now, however, Netflix viewers in Canada are stuck with a smaller selection. That is, unless they're willing to partake in some technological trickery. A growing number of Canadians pay a small monthly fee to use a virtual private network (VPN) service to change their IP address. In effect, they pretend to be Americans in order to get access to the larger U.S. library. Netflix is not a fan of the practice, but they don't do anything to monitor or stop it. "We know it goes on. We don't condone it," says McCabe. "It's like pirating." And just like pirating, the use of VPNs is driven by a lack of convenient digital access to content, according to Ottawa University professor internet expert Michael Geist. Unlike pirating, Geist says, VPNs will likely continue to "fly below the radar screen." "I don't think they're an obvious copyright infringement, although in many instances the user may be violating the license under which the content is being streamed," Geist, who works with VPN provider SurfEasy, says. "If it gets bigger we may see efforts to restrict it." And as long as content owners feel they can make more money with the windows system, Canadians are likely to continue to turn to VPNs and unauthorized downloads. But with Netflix growing by leaps and bounds and expanding into content creation, networks and studios will likely be forced to adapt. When video on demand entered the market, Purdy says, Ted Rogers wasn't concerned that it would cannibalize his video rental store business. "He recognized that was a customer-centric or customer-driven trend, and that we should embrace it," Purdy says. "If we made a little bit more money off video store rentals than we do off video on demand, it wasn't as important as staying pace with the customer's needs and expectations." The question seems to be which networks and studios will go the way of Blockbuster and which will embrace our all-you-can-eat future.